A number of new primary and middle schools and kindergartens in SIP, completed in late May, are expected to come into service successively in September. These schools boast unique architectural styles and distinctive schooling concepts. Several new primary and middle schools and kindergartens are expected to go into operation in September. 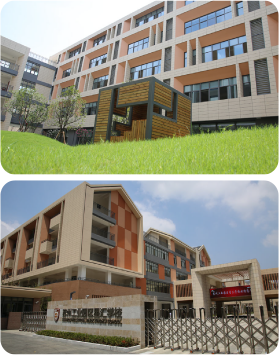 Xinghui School, with a total floor area of 66,000 sqm, is located at the core of Hudong sub-district, aiming to meet the demand of the neighboring children for schooling. It boasts a number of new buildings of unique and extremely modern styles. Xinghui School is composed of a number of modern facilities, such as the big gymnasium, the grand lecture hall and the bright classrooms. The school's vice principal Qian Mingkun said they expect to provide a good environment for reading, which they believe to be the starting point for high-quality education. There are "Reading Corners" all over the school for teachers and students to read books and exchange opinions with each other. As an "ecological school", SIP No. 3 Experimental Primary School offers children a chance to get close to various animals and plants like mammals, birds and succulents to gain a bettering understanding of nature. It is a garden-like school featuring Suzhou-style design. The Songze Branch of Chefang Experimental Primary School, with a land area of four ha and a floor area of 28,000 sqm, is designed to accommodate up to 36 classes of Grade 4, 5 and 6 students. It follows Chefang's schooling philosophy to integrate various local handicrafts and cultural resources into its curriculum. For example, it offers courses on grass weaving and eight aquatic plants that are popular food ingredients in the south of Jiangsu province. Xinzhou Kindergarten East Branch, with a floor area of 4,773 sqm, sits at the south of Zhonghui Road and west of Nanshi Street, capable of accommodating 14 classes. Yongjingwan Kindergarten features ingenious application of colors on each floor. The floors, ceilings, walls and windows are decorated with different colors as well as light and shadow effects to create a child-friendly atmosphere.